Spinach is one of the best sources for the antioxidant lutein, which may promote eye health and reduce the risk of macular degeneration. A new study in the March 30, 2019, issue of Food Chemistry suggests that eating uncooked chopped spinach can ensure you get the highest amounts compared with traditional cooking methods. 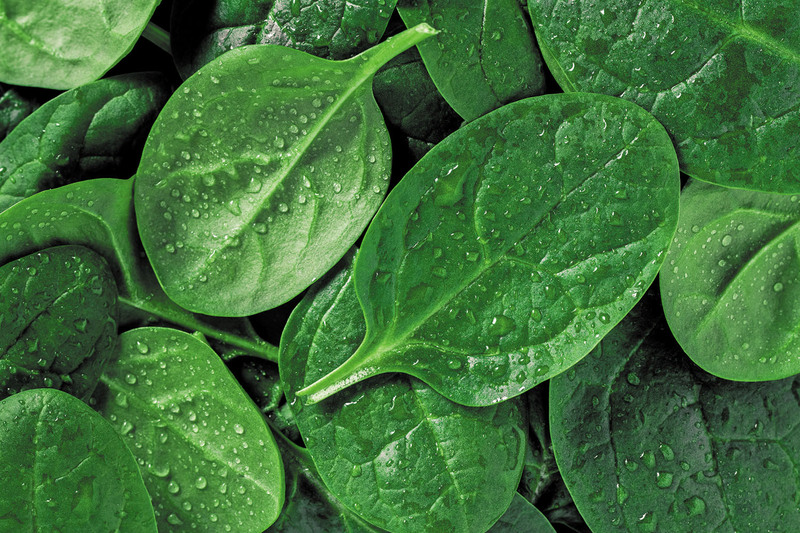 The researchers measured the lutein content of baby spinach after it was fried, boiled, and steamed. They found that lutein levels dropped by 40% after only four minutes of boiling, and by 90% after 90 minutes, while levels decreased by more than 60% after just two minutes of frying. Spinach lost about 50% of its lutein after four minutes of steaming. The researchers concluded that the best way to get the most lutein from spinach is to not cook it. While eating raw spinach is good, it's better to chop it in a blender — for instance, by making a smoothie — or in a juicer, as this releases more lutein from the leaves, according to the researchers. When adding spinach to a salad or sandwich, cut it into strips to get the same effect.